The AMD Vega Frontier Edition is now up for preorder. Currently, the liquid-cooled Vega Frontier Edition is being listed for $1,799 USD / £1,656 British pounds while the air-cooled version is going for $1,199USD / £1,140. 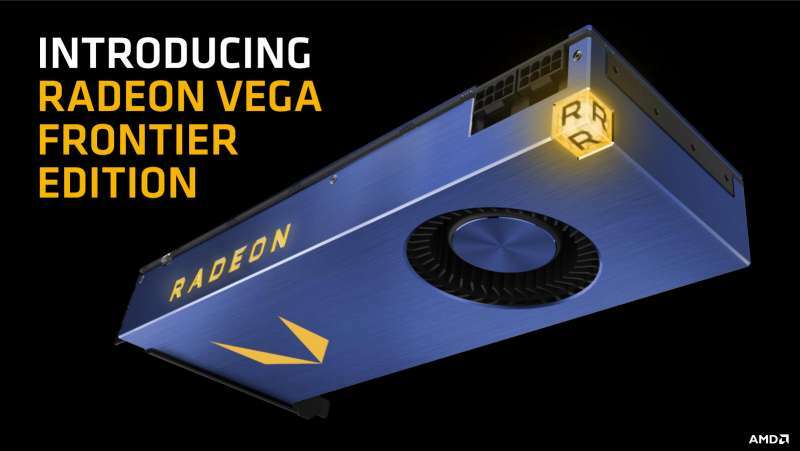 Just as a reminder: the Vega Frontier Edition are workstation cards. While you can probably game on them, you’ll find much better value in the consumer Vega graphics cards that are soon to follow. The AMD Radeon Vega Frontier Edition is available at SabrePC (US) and Scan (UK).